I’ve been wanting to eat this even before it opened because my friend is the wine-supplier! My sophisticated wine-supplying friend calls this restaurant “unpretentious” unlike the French restaurant on the 2nd floor which I love so much. My sister, on the other hand, hates this joint, calling it “over-rated,” and refuses to return on the account of bad service. Several servers asked if 14K and I were going to Lion King so that they could arrange the timing for us. Very considerate of them. It was then when I slapped my brains. When I was in New York for the Mafia/Ah Beng International Conference, there are a few restaurants/bars catering to pre- and post-opera crowd. (Italian mafia gangstas like to watch opera.) You should really go to these post-opera bars in New York, bustling with energy. I realize DB Bistro Moderne, Cut and Pizzeria Mozza all cater to the crowd who are watching the performances in MBS like in New York–And that’s why they all have bars–except the restaurants aren’t that successful in capturing the crowd? I am so stupid to figure this out only now! 3 seconds after we sat, all the gratis bread came. Scare, you know, so many waiters rushing in, like my rival gang bengs zooming in, I nearly took out my parang. You know I cheapskate so I love the free bread!! They are all varying textures with varying taste, from the buttery, airy mini-crossisants (14K: “You can’t call them croissants! 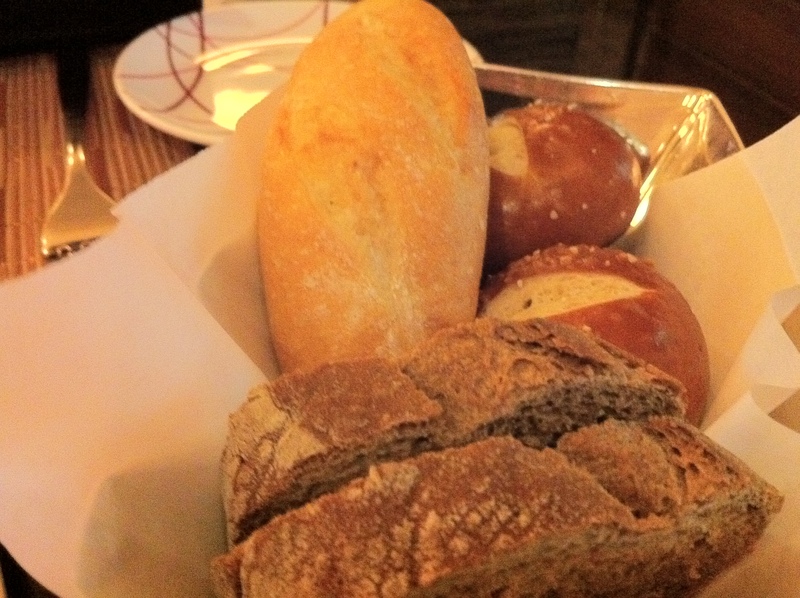 They are not the same shape.”) to sour dough to crispy baguette to pretzel-tasting buns. All of them warm. Very winning lor. 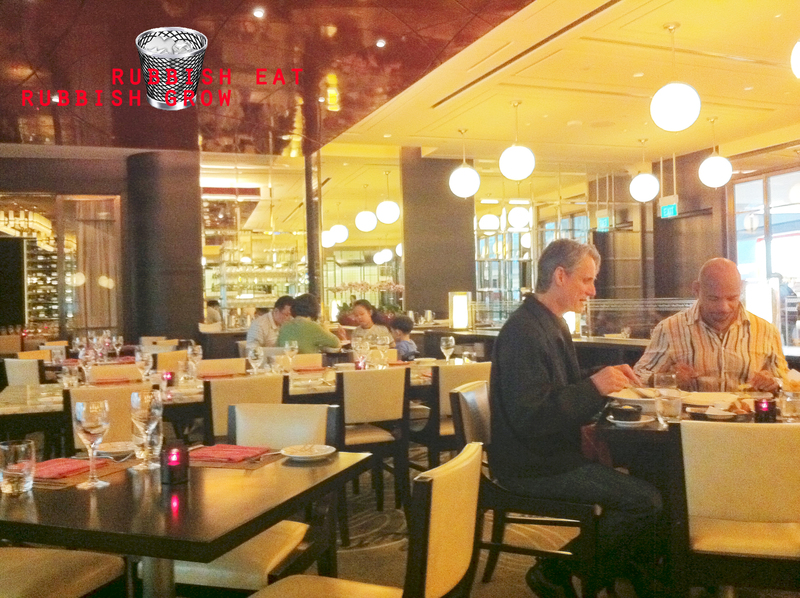 From 5pm-7pm, there is a special 3-course set meal for $58. And being cheapskates, we ordered the set meal, instead of the famous DB burger, something I regretted. The price would come to be about the same if I ordered a burger and a dessert – or perhaps even cheaper. #Cheapskate fail. Too hungry, forgot to take photo first. Jiak first. First dish was a duck pate, to be applied on bread. The vegetables at the side were pickled. 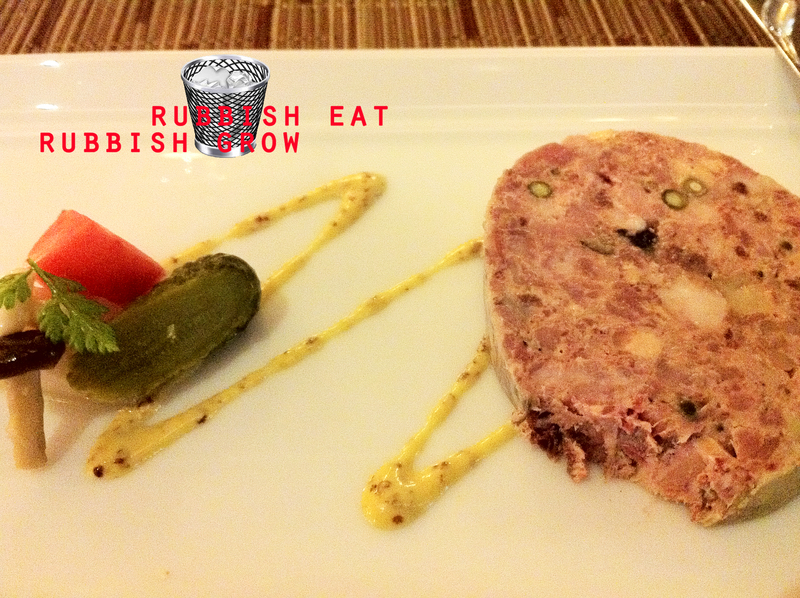 The duck pate tasted like ham. The dish wasn’t fantastic but the size of it was rare in restaurants of these sort. 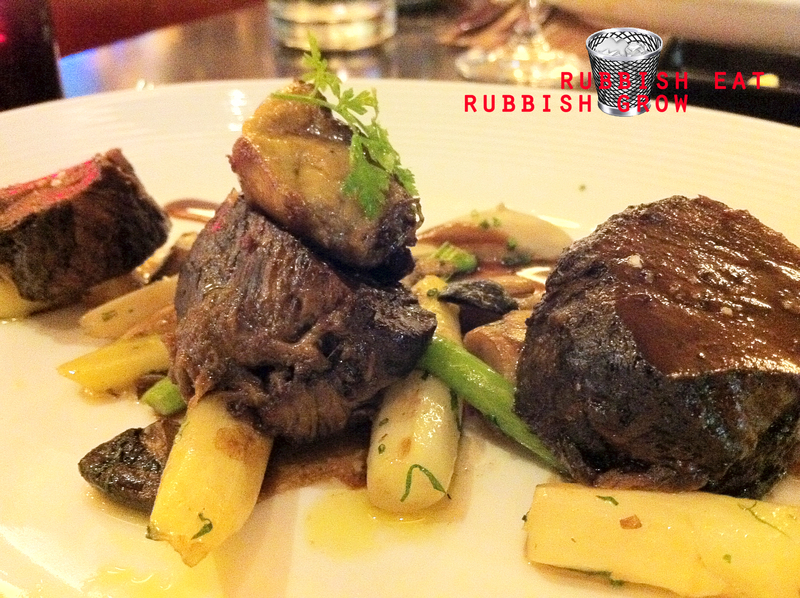 Main: Beef cheeks with foie gras. Uneven in the quality of the beef. One piece was so tender, melted completely in the mouth, infused with the sauce so completely. Another piece was overcooked and tough. There was a tiny piece of foie gras, which was cute and gave variety to the beef. It wasn’t top-grade foie gras but good enough for a 3-course meal. The service was generally good, polite and prompt but when the server asked for which dessert we preferred, he said, “Basically, it’s more chocolate or more fruit.” I don’t know if he was being patronizing. See me ah beng no up. So I took the “More Chocolate” and 14K, more fruity, took the “more fruit” dessert. The “more chocolate” turned out to be profiterole and I hate porfiteroles except from Beard Papa. I ah beng got cheap taste can? 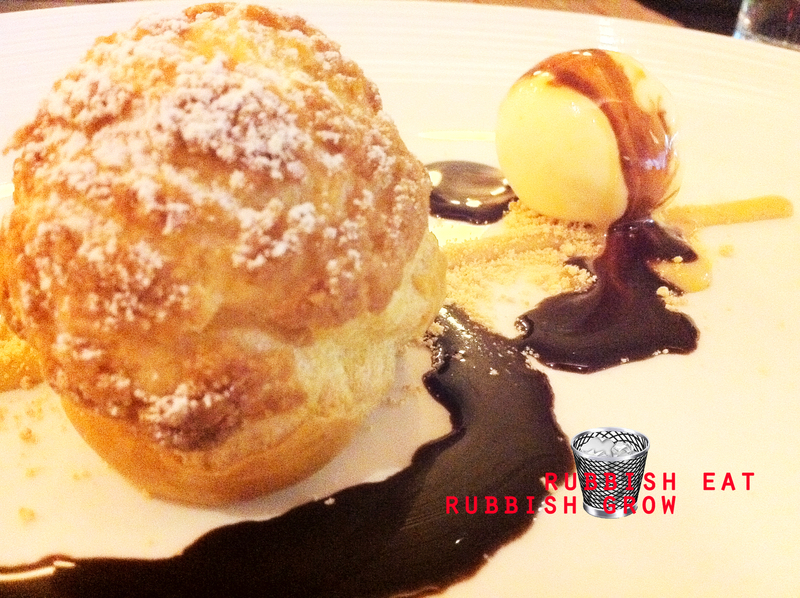 Here, the profiterole was hard. 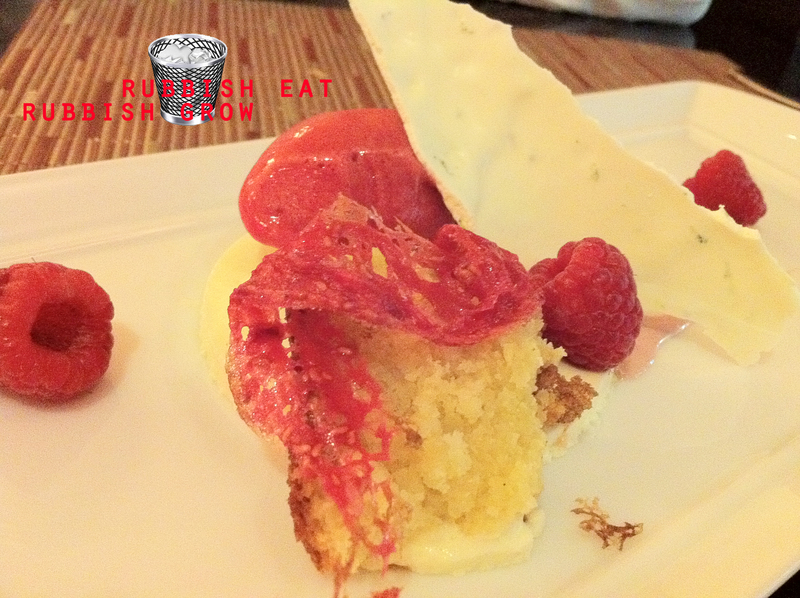 14K had some kind of crumble with raspberry sorbet. Having tasted both, I declare that desserts aren’t their forte. They were poorly done. 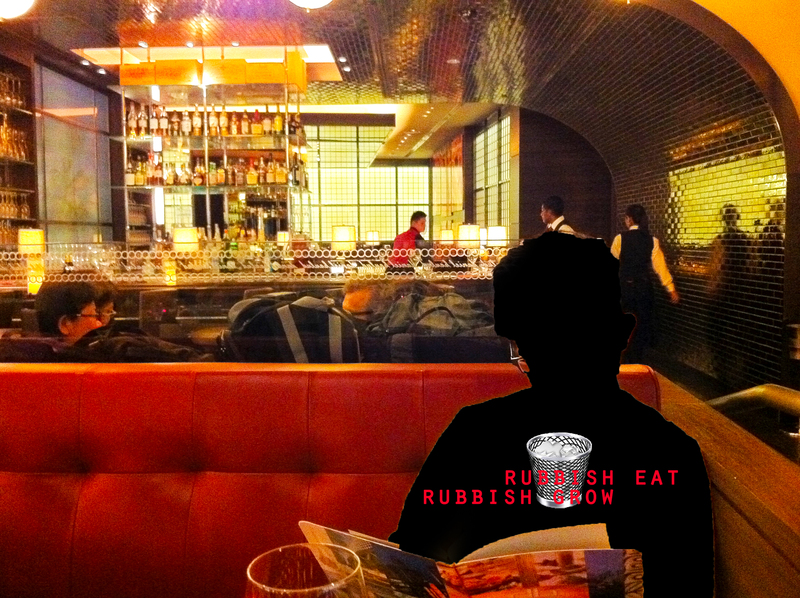 The service, said previously, is generally prompt and polite but a sommelier was rather pushy. He asked if we wanted wine. I said no, then he went on to machine-gun-recommend some wine. I couldn’t stop him, and 14K gave in and ordered a glass for white wine for $11, that is the price of a bottle of wine that I could get from my wine-supplying friend. 14K and I were enchanted by the ambience, dim yellow lights, and the patrons seemed to be mostly foreigners, lending to the bistro a cosmopolitan charm. 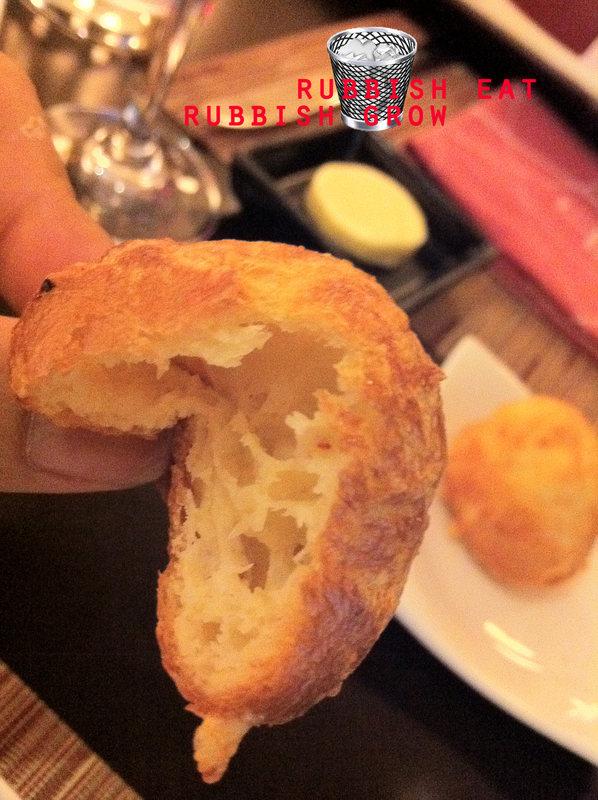 Overall, we were rather satisfied with the meal and we think we’d go back to try the renowned DB Burger.